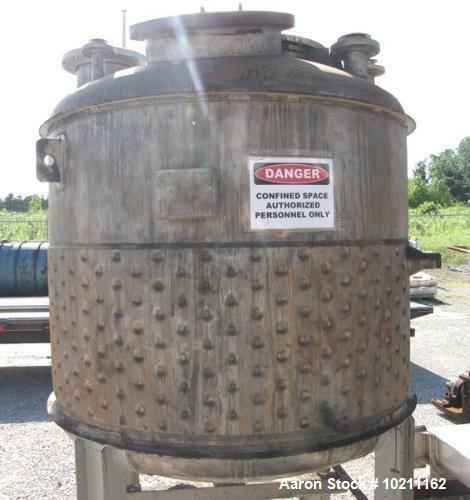 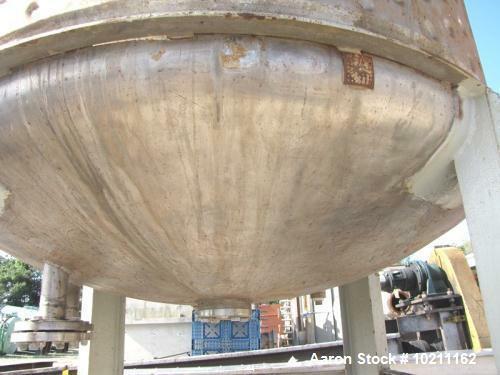 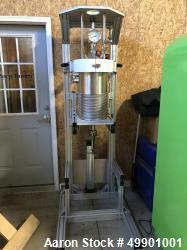 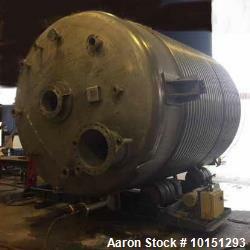 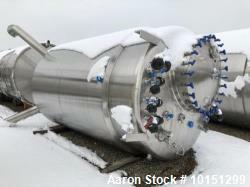 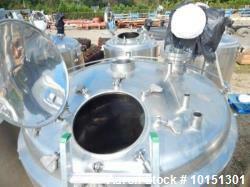 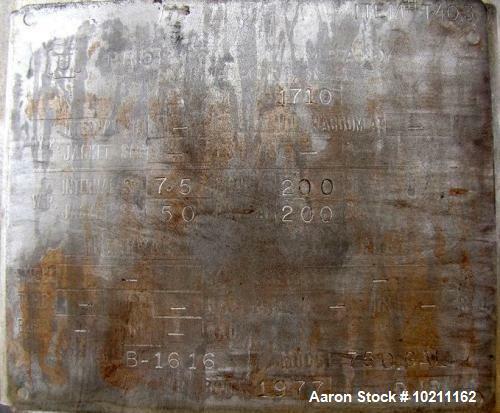 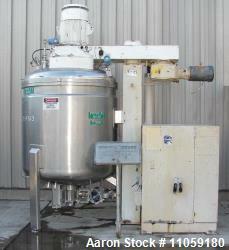 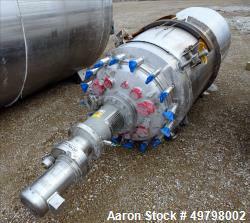 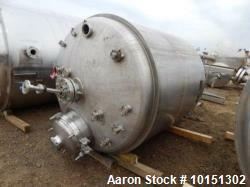 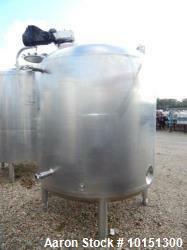 Used-All Weld Reactor, 750 Gallons, Stainless Steel, Vertical. 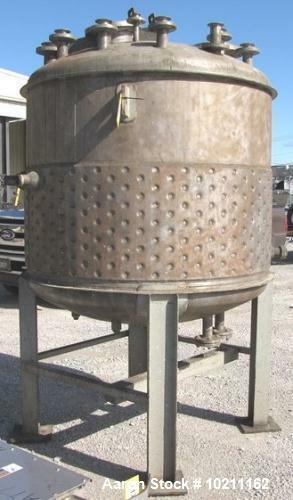 60" Diameter x 42" straight side, dish top, domed bottom head. 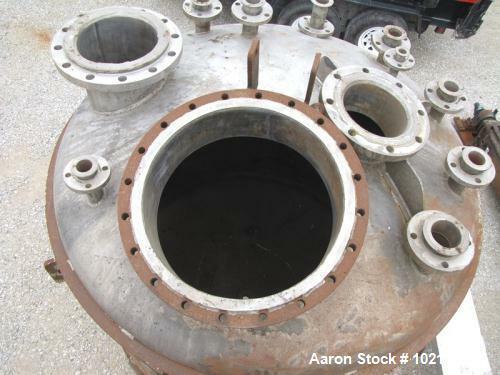 Dimple jacketed lower half rated 50 psi at 200 degree F. Vessel rated 7.5 psi at 200 degree F. 18" Top manway (no cover), 2" NPT center bottom outlet, approximately 28" discharge height, mounted on 4 carbon steel legs.